Like most personal injury lawyers who specialize in representing plaintiffs in personal injury cases, our attorneys offer free consolations to potential clients. From the lawyer's prospective, the purpose of the free consultation is to obtain information about the clients injury and evaluate whether or not they have a good case. The lawyer wants to figure out if he will likely succeed in getting compensation for the client's injuries. From the client's prospective, the initial consultation provides an opportunity to get an expert legal opinion on the validity of their claims and get a real roadmap to the path to compensation. It also give them an opportunity to meet and get to know the attorney and decide whether or not to retain that lawyer or find someone else. The free consultation is a valuable tool for victims, even if they are considering not hiring a lawyer at all. Here are some tips to get the most out of your free personal injury consultation. Being fully prepared for your free initial consultation with a lawyer if more important than you might think. Preparation will help both you and the attorney get the most out of the consultation. If you end up retaining the attorney to handle your case, coming to this consultation prepared will help get your case moving faster right from the start. The first part of preparation for the consultation would be preparing to give a detailed, accurate statement about the accident (or cause of your injury). Don't try to reshape the story to make things look more favorable. That will just end up causing problems down the road that could potentially derail your case altogether. Another key part of preparation is gathering all relevant documentation relating to your claim. If you have police reports, medical records or similar types of documents that relate to the accident you should bring those with you to the consultation. If your claims are based on an accident or injury that occurred a long time ago, one of the first things the lawyer will address at your consultation is whether the statute of limitations has expired. If you have a legal claim for damages, it must be brought within a certain amount of time. The statute of limitations is the law that sets the time limit on bringing claims. Depending on what state you are in the limitation time is most likely somewhere between one and six years. Check our statute of limitations page for a list of limitation times in all states. The question of when the statute of limitations period actually begins to run can be somewhat complicated and there can be notice to the defendant requirements that can be less than a year. So be prepared to discuss this. Find out everything you can about the attorney and his or her firm before your meeting. Not all personal injury attorneys are the same. The main difference between personal injury firms is often the specific type of cases that they normal focus on. Some firms focus primarily on auto accident cases. Others may be more experienced with medical malpractice cases. But accepting a specific kind of case is just the start of the inquiry. What kind of results are they getting in those cases? Are they actually the lawyers handling the cases? You would be AMAZED at how few lawyers you see on television who are telling you to call them with your medical malpractice case that actually handle medical malpractice cases. They are marketing lawyers who usually pass the cases along to an actual malpractice lawyer for a portion of the fee. Ask the hard questions. Will you be the lawyer handling my case? What is your firm track records in cases that your firm has handled in this type of case? Have you actually handled this type of case through trial? These are the questions you need to ask. Is this going to be an uncomfortable conversation? Absolutely. But it is the conversation with a personal injury lawyer that you have to have. Medical imaging such as X-Rays or MRIs. Even if you do not end up retaining the attorney, your initial free consultation is still subject to the rules of attorney-client privilege and confidentiality. This means that anything you and the lawyer discuss during the initial consultation will remain confidential. The lawyer cannot be forced to reveal what you discussed or produce any documents you provided. One very helpful question to ask during your initial consultation with the attorney is whether he or she has handled prior cases that are factually similar to your own. For instance, if you are pursuing a medical malpractice case against your doctor for failing to diagnose cancer (or another condition), you should ask the attorney his firm has previously handled other failure to diagnose cancer cases. If they have, you should ask what happened in those prior cases and whether they would expect a similar result in your case. For an auto accident case, you may want to ask about prior cases where the client's injuries were similar to yours. Again, you have to ask for specifics. Most victims ask the lawyer this kind of question, get an evasive answer, and then move on to the next question. If the lawyer indicates that he or she thinks you have a good case and they want you as a client, you will need to decide whether or not to retain him or her. Just because they gave you a free consultation this does not mean that you have any obligation to hire them. You are entitled to "shop around" and meet with other attorneys and decide which works best for you. Almost all personal injury lawyers handle cases on a contingency fee which means that they only get paid if they succeed in recovering money in your case. This means that you don't pay them by the hour, but instead they take an agreed percentage of the money that they get for you. The contingency fee percentage is typically between 30-40% and most states have laws which limit the maximum percentage. The percentage may change depending on whether the case gets settled before a lawsuit is filed. For example, our contingency free agreement is 33% if a case settles before a lawsuit and 40% for anything we recover after a lawsuit is filed. 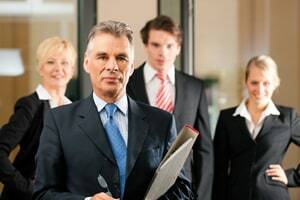 One important thing to understand is that the lawyer will usually recover his contingency + all expenses that his firm covered in connection with your case. Expenses can include court filing fees, deposition transcripts, trial exhibits, and expert witness fees. If a case settles quickly these expenses will likely be minimal. If a case goes all the way to trial, however, the total expense can be very significant. This is particularly true in complex medical malpractice cases. You should ask the attorney what the anticipated expenses will be in your case. You should also make sure that your agreement provides that you will NOT be personally responsible for any expenses in the event that your case is not successful. If your consultation goes well and you end up retaining the attorney at the end, you should talk about the next steps before you leave. Ask the lawyer for a detailed "game plan" for what will happen going forward including what he needs from you and how long he anticipates things to take. The reality is that the very best lawyers for your case might now be the ones who down the street. We are based in Baltimore, Maryland but our lawyers have handled cases in most states in this country. Why? Because the client believed our law firm was the best law firm for them, regardless of locality. So do not hesitiate to set up a consultation with a lawyer by phone to get your questions answered.